Meet the Oomi: a smart home security system that lets you keep an eye on things happening around your home and control your smart devices. Oomi is designed to make your home smart. 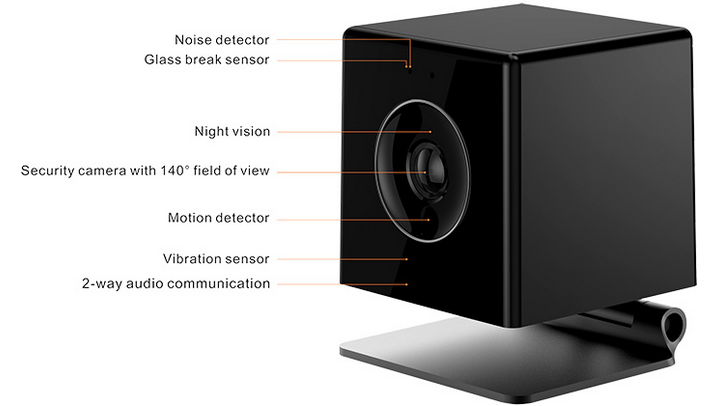 The Oomi Cube, which is the central piece of this system, has built-in security and smart home control features. It features a noise detector, glass break sensor, motion detector, a security camera, a temperature sensor, a noise detector, and a remote control emulator. You will be able to connect your devices to Oomi to control them. You also get the Oomi Touch, which is a tablet that controls everything in your Oomi-powered home. The Oomi plug is a Z-Wave plug that gives you wireless control of any appliance. Oomi is smart, so it learns from you to better serve you. The device is expected to be compatible with iOS, Android, HomeKit, and smartwatches. The project is on Indiegogo right now.